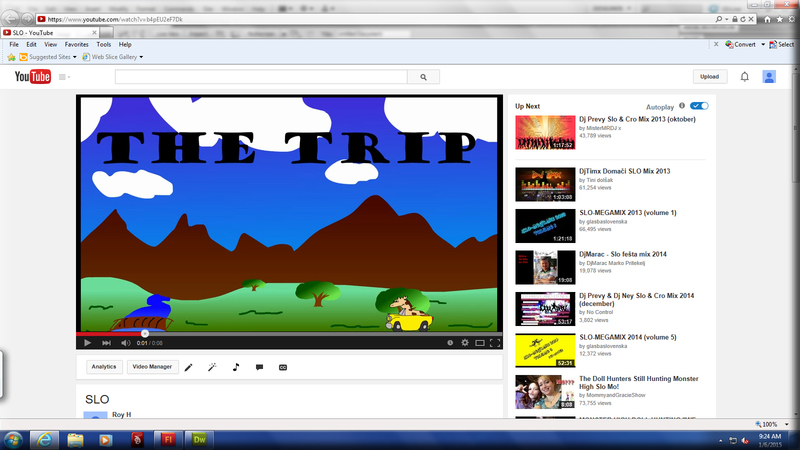 I used flash, premiere, acid, photoshop, and dreamweaver to create animations and post them on my webpage. I also learned how to draw like the masters and how to write a script and draw a storyboard. I created several more flash animations and a few hand drawn animations and posted them on my portfolio. I worked on some projects with my class and my SLO's individually. What's up? my name is Roy. I like music and art. I set goals for myself every year to accomplish new things and I hope one day I can change the world. I'm very passionate about the things I put time into and I'm proud of all the work I have done.